I was scrolling through my Twitter feed, and spotted someone had shared a Jungle Book make up bag from Primark, naturally, I needed that, so I emailed my hubs, as he has a Primark near to his work, to see if he could pick me one of the bags up. He came home with two big bags of Disney bags for me – ain’t he a sweetheart?! So I made a haul video showing them all to you, which you can watch below, or over on my YouTube channel. Let me know which bag is your favourite! 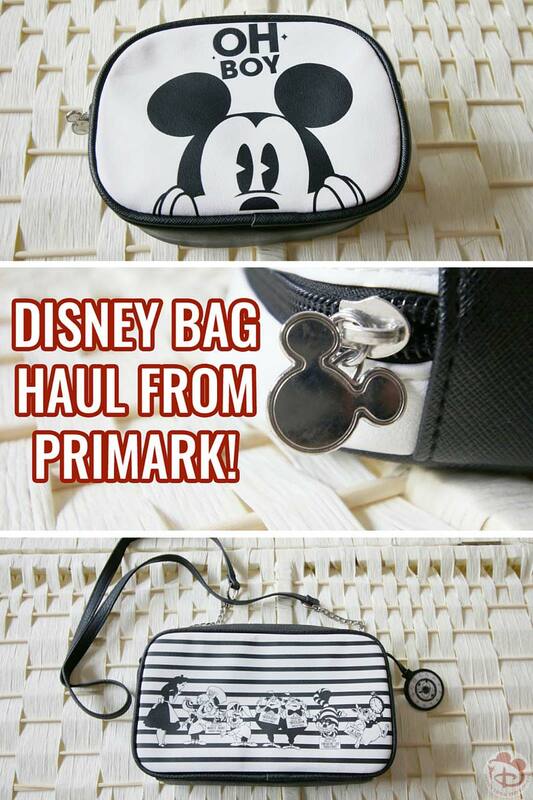 I often find that Primark stocks Disney merchandise, so it’s well worth checking out from time to time. There are quite a lot of clothing items too, but alas, not my size – except the flip flops, which my husband has bought for me today – so another haul type video will be in the works for next week! Subscribe to my YouTube channel so that you don’t miss it, and you can also subscribe to my weekly newsletter for a weekly dose of Disney in your inbox! Enjoyed watching your video. Have subscribed so I can catch up later. I like both the Mickey Mouse bags. I think I now know where the wife keeps getting her disney tshirts and PJs from!